When we talk about web development, it can be said as the fastest changing industry. As a developer if you want to stay on the top, then you need to improve your skills constantly. And if you want to enhance the rank of your business, you need to get in touch with an appropriate web design agency. This will also offer you the best user experience for your current as well as prospective clients. 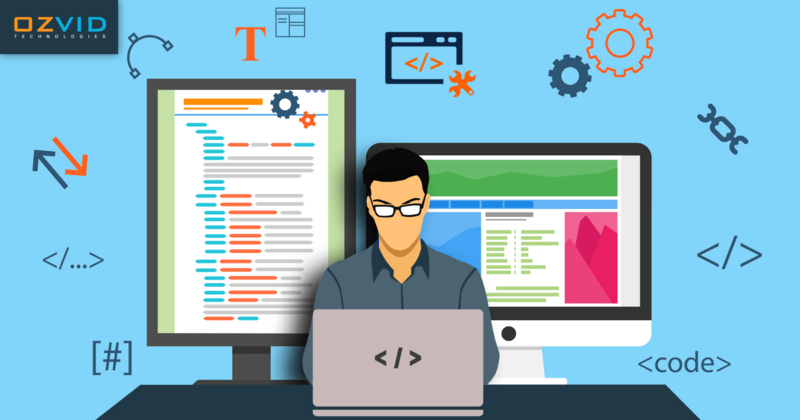 Here in this article, we are discussing some tips that can help you become a better web developer. These guidelines will let you make improvements, no matter whether you are a beginner or an experienced one. One must always take efforts to optimize the codes for better readability, performance, and maintainability. Writing the codes every single day may be one of the best advice that any seasonal developer can give you to improve your skills. Practice makes a man perfect and this phrase totally goes well with the developer. This helps you catch your mistakes and improves the typing performance too. Along with that, you must learn the ins and outs of your favorite code editor. If you want to immerse yourself as a developer, then working on open source projects can help you do so. Another way is to give your contribution to an existing project; you can fix minor bugs or improve the stability of the project. Working on different projects will help you understand the codes better, no matter which options you pick. This automatically makes you work better in a team and offer better learning opportunities too. To become more productive, coding every day is extremely beneficial. Taking care of the schedule regular time is very necessary. Smart Work is better than Hard Work. If you work continuously for hours, it may lead to stress, missed deadlines, sloppy codes etc. So work effectively for whatever time period, you are doing. Scheduling regular downtime is little crucial but if you succeeded in managing the time periods, you will get motivated to perform more effectively. Sometimes, you might get confused in writing codes. One of the great ways to learn more and more about it is by starting a blog so that you can share knowledge with others. For better understanding and proper learning, you must organize your thoughts and structure the topic. Through practical examples, it becomes easy to review and perform other function too. In addition to that, by writing blogs; you can increase your visibility and position. There are a number of web development mistake which one must avoid to get progression and growth. Getting out of your comfort zone can help you get aware of the new trends in the development industry. This lets you do different stuff like working on a number of projects, trying out multiple programming languages and generate a new way of doing a thing. In case you are a WordPress theme developer, creating a plugin may help you enhance your skills. On the other hand, if you are working as a software developer, then giving a try to mobile app development is beneficial. Hence, we concluded that companies prefer to hire web designer who is more familiar with numerous languages and codes. So you need to follow some tips which can help you become better as a developer. Just devote some time to studying and mastering the fundamentals of programming.